Roses are among the most popular garden flowers. 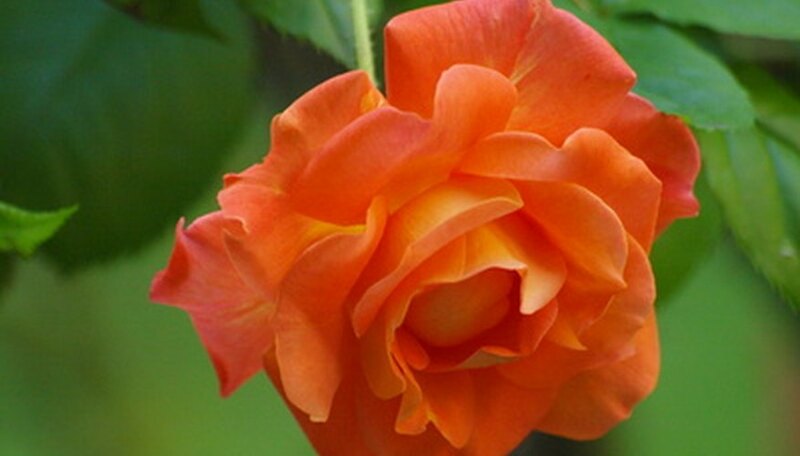 Fossil Evidence suggests that roses have been around for 35 million years. According to the University of Illinois, there are approximately 150 species of rose that grow across the northern hemisphere from the arctic down into northern Africa. Roses vary from miniature shrubs to climbing roses and ramblers. All roses, as well as flowering fruits including apple, pear, peach, plum and cherry, are members of the family rosaceae. But true rose plants are from the genius rosa. These plants share similar characteristics. Examine the plant’s leaves. Rose plants bear compound leaves on alternating sides of the plant’s stem. The leaves are pinnates, which means that they are clustered in bunches on a single stem, like a feather. Each leaflet on the leaf cluster is small and oval-shaped. The margins of the leaf are serrated. Observe the stems of the plant. All roses have either thorns or prickles on the stems. Some rose growers sell roses with blunt, tiny prickles as ‘thornless’ roses. Observe the flowers on the plant. All rose shrubs bear flowers. Sniff the flowers to determine if they are fragrant. Although rose blossoms differ in appearance, they are all fragrant. Remove the flowers on the plant and wait for fruit to form. Once the petals of a rose fall off, the stem of the rose will swell to form a fleshy, berry-like fruit. This fruit is known as a rose hip. Watch this fruit after the first frost, as rose hips will turn from green to orange and eventually to a bright red. Cut open red rose hips and you'll find a number of seeds surrounded by fine hairs. These hairs are known to irritate the skin. The effect is similar to that of itching powder.